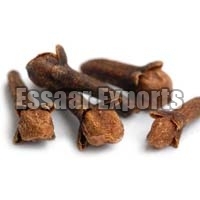 The company has cemented its presence among the distinguished Suppliers and Exporters of Cloves. 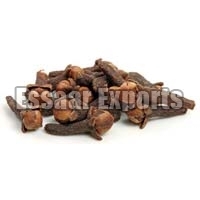 The Cloves offered by us are sourced from known vendors of the market. 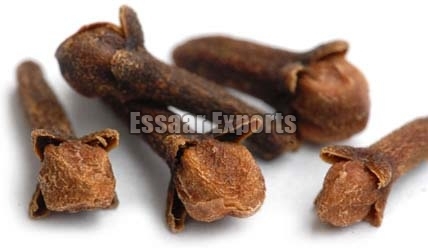 Courtesy our brilliant logistics network, we are capable of delivering bulk orders of the Cloves within the allocated timeframe. Buyers can obtain these at reasonable rates. More about Cloves : The clove of commerce is the air-dried unopened flower bud obtained from evergreen medium sized tree. The tree grows to a height of 10-12 meters and start flowering in about 7 years. It continues to produce flower buds for 80 or more years. It is a valuable spice of the orient. Clove clusters are plucked by hand when the buds are fully developed with a pronounced pink flush and then dried over several days in the sun. Unopened flower buds, leaves and stalks yield essential oil.